Posted 2:56 pm by sallyleeds & filed under News. 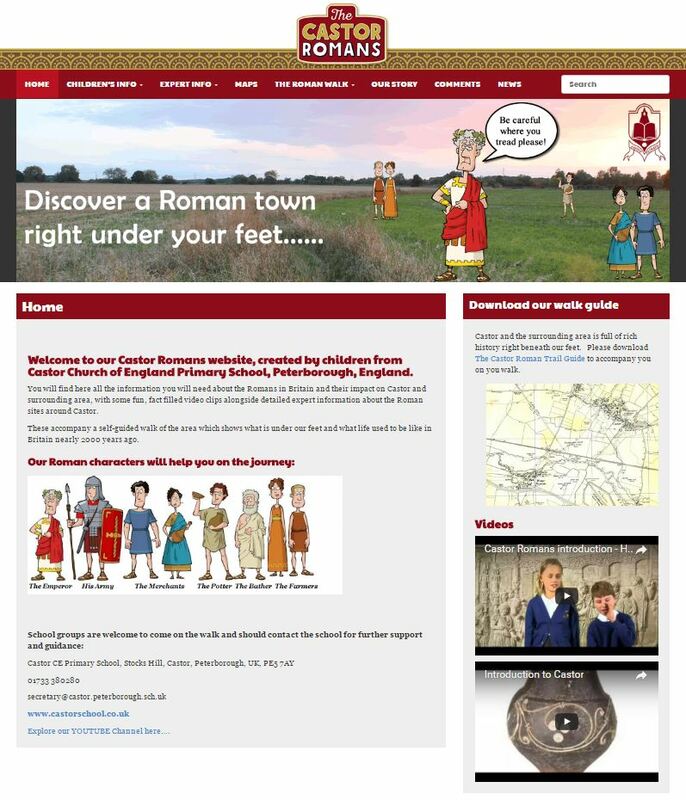 Castor Church of England Primary School, Peterborough secured a Heritage Lottery grant to develop a walk for primary schools around the their local area. The project was led by the Head Teacher, Mr Mark Ratchford and involved many local organisations including Peterborough Museum, St Kyneburgha Church Preservation Trust, Rector William Burke (Retired) and St Albans museum. The whole school was involved in generating material for the walk and website with support from actors, film makers and ourselves. This project has created an excited resource for the school and the school regularly hosts children from other schools guiding the walk themsleves and talking through the artefacts that were found when Channel 4 came and filmed ‘Time Team’. Our input was to help create the project brand, ‘look and feel’, and make sure that the site was exciting, vibrant and completely child centric.